I have been eye’ing these gorgeous Smith Rosebud tins for some time now and when I finally scooped the last bit of lip balm from my pot, it was a perfect opportunity to place my order. 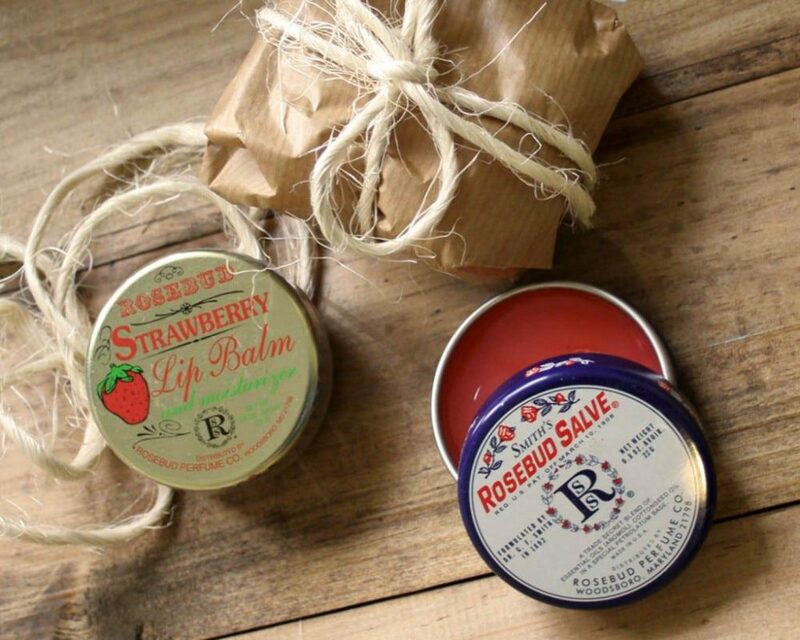 I bought the Rosebud Salve for myself and the Strawberry Lip Balm for my sister. Not only are the tins gorgeous but the balm is wonderful! I cannot wait to buy some more from Kim Grays fabulous shop. They are the perfect christmas gift. This entry was posted in Blog and tagged lip balm, rosebud lipbalm, salve, smith rosebud. Isn’t it amazing how the simplest things make us feel so good? Right now I’m totally loving on my tea tree oil body lotion. I have some too, and it’s really good! I think I bought it for the tin, because I don’t usually use lipbalm, but it’s been in daily use since I opened it. Great idea as a christmas gift!